Edinburgh – The National Trust for Scotland which looks after battlefields at Bannockburn and Culloden, castles in Ayrshire and Aberdeenshire and 76,000 hectares of countryside has a programme for visitors and families looking for fun on their Scottish holidays. 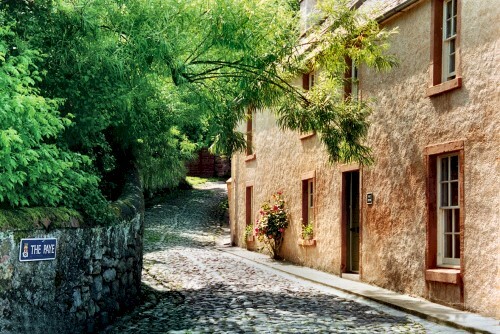 You can stay in historic places like Paye House, an 18th-century house lies at the heart of Cromarty’s historic conservation area, surrounded by cobbled lanes and listed buildings. Its first recorded owner was the keeper of the County Gaol who also ran an alehouse. In later years it served as one of the town’s hubs as a general store, a doctors’ surgery, a chip shop and a depot for antique toys – it sleeps six. For more information about events and holiday bookings visit www.nts.org.uk. This entry was posted in Arts / LifeStyle / Travel and tagged heritage. historic, Scotland. Bookmark the permalink.